The Rubber Throw Down 5-Piece Base Set by BSN is great for indoor and outdoor sports. 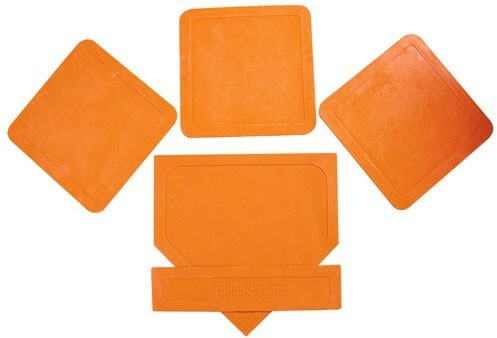 The bright orange coloring makes it easier to spot from a distance and the rubber construction provides traction to prevent players from slipping. 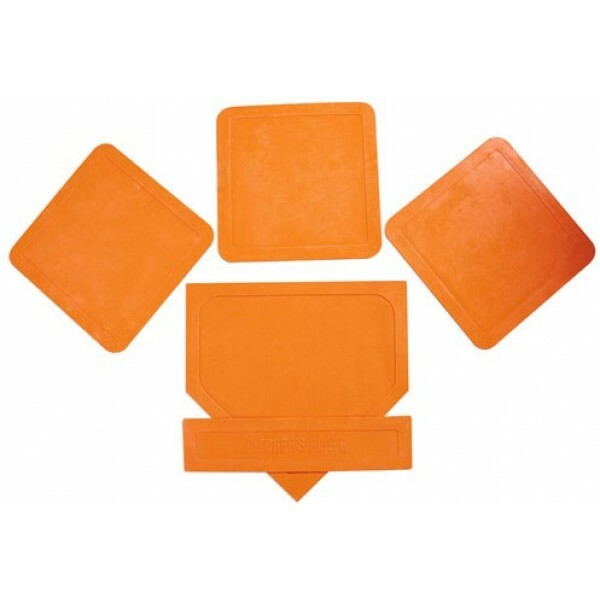 This is a great value for a 5-piece Rubber Throw Down base set!